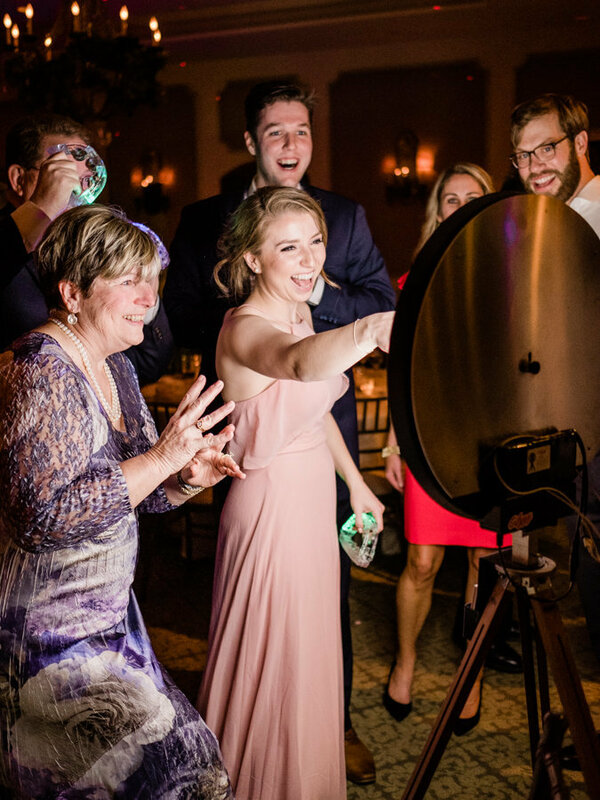 Phoenix GIF is a next level photo booth experience creating fun, boomerang style animated GIFs delivered straight to your guests phones. 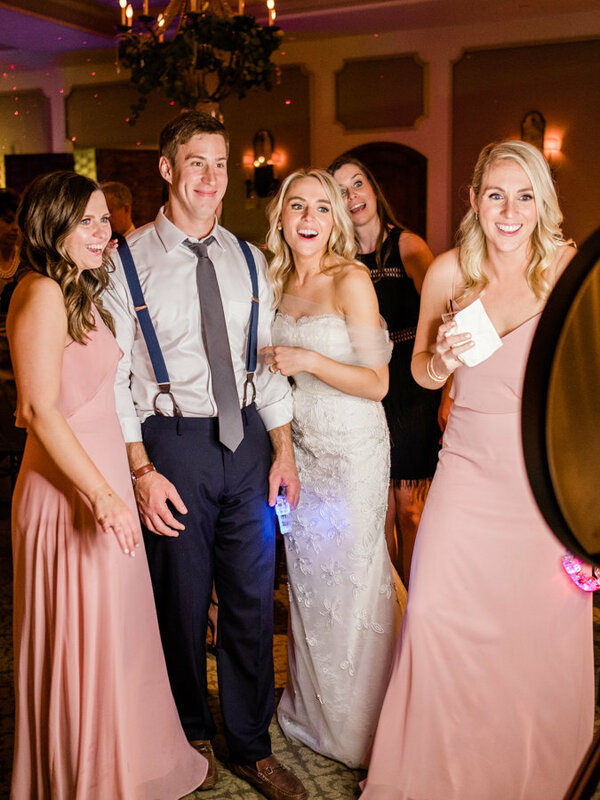 The hip, vintage-inspired, minimalist design and easy to use interface encourages everyone from kids to grandparents and everyone in between to let loose and capture the energy of your event in motion. From company parties and customer appreciation events, to promotional events and brand launches, the optional logo overlay, hashtag, and custom text message build brand awareness. Options for additional text messages and access to email lists is available. Indoors or outdoors, refined or relaxed, large or small, Phoenix GIF is the perfect addition to entertain your wedding guests and leave them talking and sharing long after the night is over. 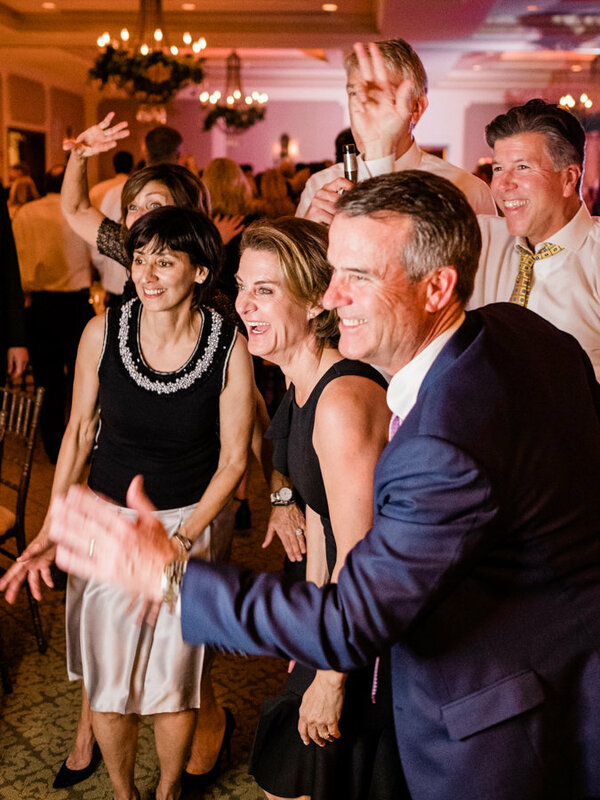 Bar/Bat Mitzvahs, Quinceaneras, birthdays, anniversaries, galas, proms, class reunions… any reason to celebrate! Phoenix GIF is the coolest way to keep guests entertained, creating fun animated GIFs to share! Further than 30 miles outside of Phoenix? Please ask about travel fees. 10 minutes! We always request your venue’s WiFi network name and password ahead of time so we can get on the network quickly and seamlessly while you are busy hosting or enjoying your event. This is where Phoenix GIF shines. It sits on a stylish, vintage-inspired tripod and only needs about 6 square feet so a group can gather and enjoy the fun together! Its minimalist design means that it can go places traditional photo booths cannot. Phoenix GIF can even be moved mid-event from one location to another! 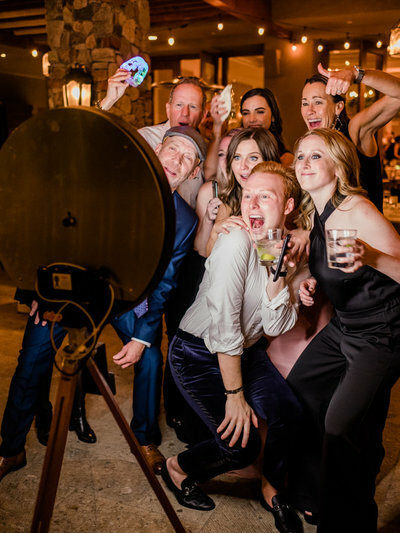 How is Phoenix GIF different than a traditional photo booth? Phoenix GIF captures fun, digital animated photos that are sent straight to your guests phone for immediate sharing (and laughing)! The attractive, minimalist design of Phoenix GIF means it can fit pretty much anywhere (we recommend putting it next to the action or dance floor), compliments any space, and doesn’t have to be stuck in a hallway or patio taking guests away from your party. Because there are no prints or props (your event is the backdrop), and so easy to use, there are no long lines, so your guests can get right back to the action! And it only takes minutes to set up! So easy! Guests simply follow the prompts by touching the screen, waiting for the countdown, then move! It will then ask for the guest's mobile number and be instantly delivered to them via text message to enjoy and share! Then it’s immediately ready for their next GIF! You bet! There is always one attendant to set up Phoenix GIF and ensure it’s running smoothly. They are also available to assist guests if they need it. Nope! Phoenix GIF creates unique moving GIFs--simple digital animations made from a series of combined photos taken in quick succession. There are no prints, just 100% pure digital fun delivered straight to your phone, ready to be shared with friends and family. Thanks internet! The sleek, minimalist design of Phoenix GIF means that the focus is on the movement of the guests and your event as the backdrop! People have loads of fun with crazy dance moves, goofy expressions, and just flat out ridiculousness. But, every event is different and you’re welcome to supply your own bucket of props from places like Amazon or party stores. Do I need a backdrop? Phoenix GIF is the most fun when it faces towards the action, and thus the motion and energy of your event is the backdrop! This allows for spontaneity and the dazzling ring light attracts others to join creating even more fun. It looks great to show a kick-a** party in the background too! How do my guests view all the GIFs after the event? Your guests are provided with a gallery link in the initial text message they receive with their GIF. If you like we can send out another text message after your event with the link again. Optional custom text messages and hashtags are available. Can we download all the GIFs after the event? You sure can! We can send you a link to receive all of the GIFs in a bulk download. Just ask! Absolutely. We carry business and liability insurance, and are happy to provide a Certificate of Insurance whenever requested for your venue or event. I am planning a corporate event, how does Phoenix GIF help me interact with my guests/customers? We love corporate events! Optional brand placement is available in the form of adding your logo to each GIF, a custom hashtag, and custom text message. Additional options include access to the email list after the event. 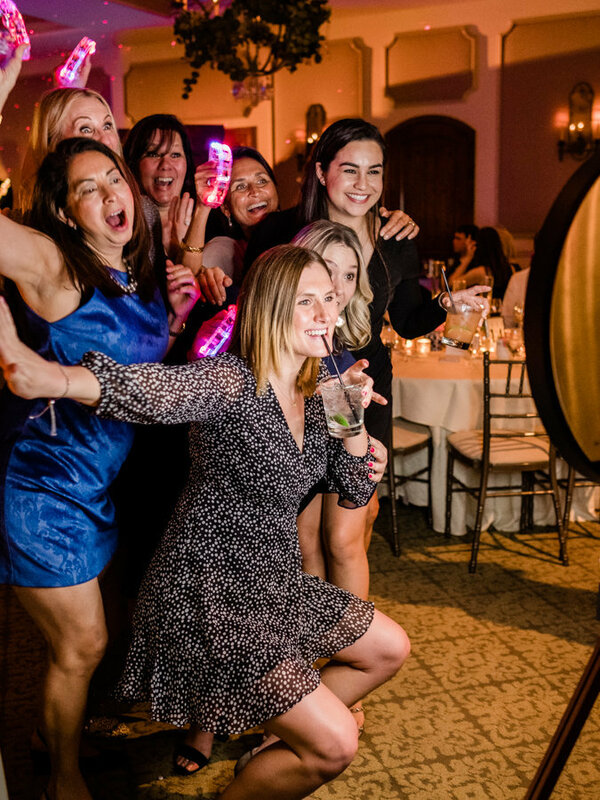 I already have a photo booth at my event, could I also use Phoenix GIF? Heck yes! If space allows, you can get the best of both worlds! 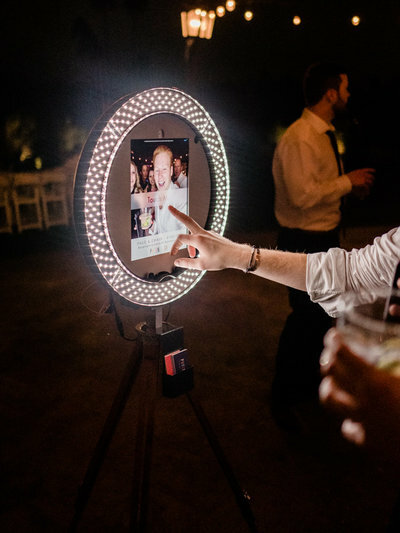 Phoenix GIF offers a completely different experience than a more traditional photo booth that prints images on a photo strip. Why not give your guests even more fun? Can I add more hours after I book? Yep! Additional time is $125/hr, and the GIFs are still unlimited. How do I book PHOENIX GIF? Let’s do this! We have a simple online contract and ask for a 50% retainer to hold your date. The remainder is due 14 days before your event. Fill out our contact form to begin the process and we will get in touch! We require access to a power outlet within 8 feet of the booth. However, most clients add on the battery pack, allowing us to set up anywhere in your venue without any extra clutter. We require a dry space and a stable surface upon which to set up. Should your outdoor event encounter inclement weather, we will promptly relocate Phoenix GIF unit to a dry, indoor location. Who can use PHOENIX GIF? Everyone, even grandma! The simple interface and interactive technology is perfect for both young and old alike. WHAT IF MY VENUE DOESn’T HAVE WIFI? If your venue doesn’t have WiFi, has spotty WiFi, or you are unable to share the password, we can provide a hotspot for an additional $50.